When prime minister Narendra Modi spoke about action against benami properties while delivering the I-Day address from the Red Fort ramparts, he was in fact fulfilling a promise he made during the last Mann ki Baat of 2016. “The law against benami property was lying in limbo for years. Now, we have come up with a law against benami property. In such a short time, the government has confiscated benami properties worth over Rs 800 crore. When these things happen, the common man develops faith that the country is for the honest persons,” said Modi on Tuesday. Modi, who had carried out demonetisation on November 8, had widened the effort to tackle corruption by taking on benami properties. “We will take action against ‘benami’ properties. This is major step to eradicate corruption and black money… We are going to take action against the properties which are purchased in the name of others (benami). That is the property of the country,” said Modi during his last Mann ki baat of 2016. The Benami Transactions (Prohibition) Act, 1988 was amended through the Benami Transactions (Prohibition) Amended Act, 2016. The amended Act, 2016 came into effect from November 1, 2016. “…purchase of property by any person in the name of his wife or unmarried daughter and it shall be presumed, unless the contrary is proved, that the said property had been purchased for the benefit of the wife or the unmarried daughter. 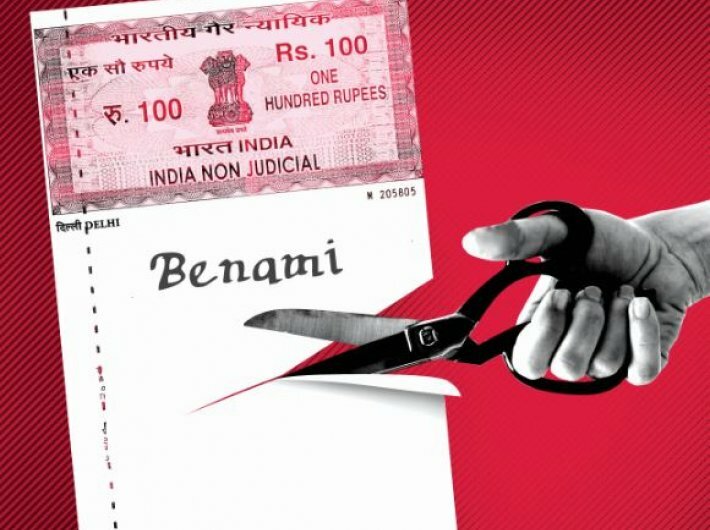 Whoever enters into any benami transaction shall be punishable with imprisonment for a term which may extend to three years or with fine or with both,” says the Act. What exactly is benami property? Any property bought by an individual which is not under his or her name is benami property. Commonly, benami property is in the name of the wife and children and unaccounted money, better known as black money, is ploughed into purchase benami property. The minister said that the Act prohibits benami transactions and empowers the authorities specified in the Act to provisionally attach and eventually confiscate the benami properties. “The Act also provides for prosecution of any person found guilty of the offence of benami transaction by the competent court. The offence of entering into a benami transaction is punishable with rigorous imprisonment for a term not less than one year but which may extend to 7 years and shall also be liable to fine which may extend to 25% of the fair market value of the property,” he said.